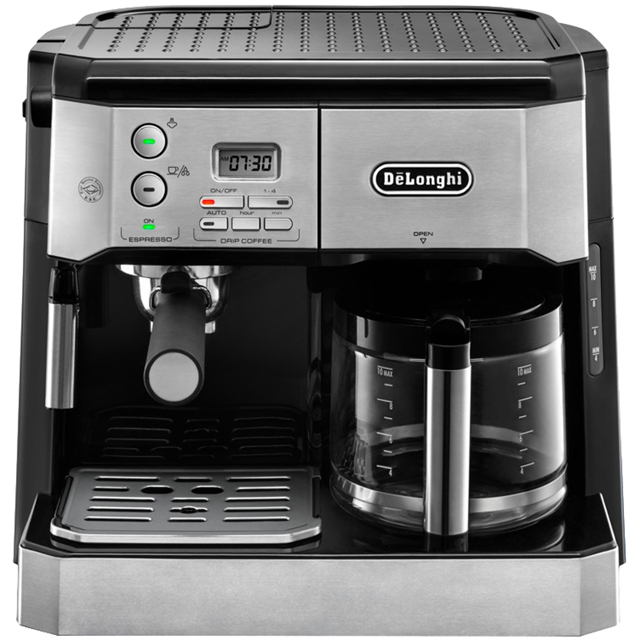 Achieve the complete barista experience from the comfort of your own home with this combi espresso machine from DeLonghi. Not only can it make café-quality espressos, but it’s designed to prepare aromatic filter coffee as well. And, there’s even a brilliant milk frother system, so you can add that perfect silky finish to a latte or cappuccino. You know you’ll always get exceptional results too, as clever Thermoblock technology keeps the water at the ideal temperature for your chosen drink. And, this model even has a hot plate that can either heat your favourite cups, for that special touch to after-dinner drinks. Or, it keeps a carafe of coffee warm, so everyone can go back for more.